Beautiful vintage art deco dresser tray. 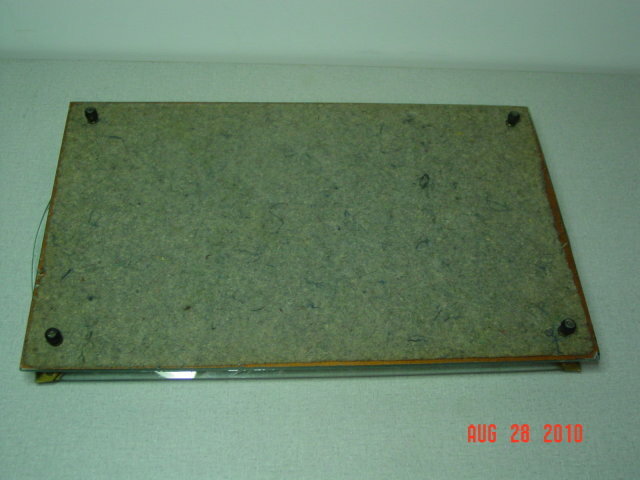 The base is made with a 11" x 18" mirror. There is some discoloration around the edges of the mirror, and there is a small chip on the bottom of one corner. It is backed with a brownish gray felt and has 4 wood ball feet. 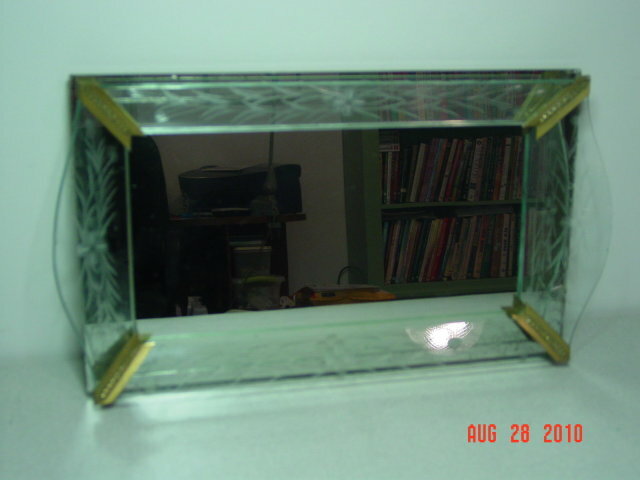 Attached to the top are four panels of clear glass with an etched pattern on each panel. The side panels have a straight edge, and the end panels are curved. There is a small chip in a curved panel on one end, and two small chips on the other end. These panels are attached at a slanted angle to the base on each corner with an arrow shaped brass anchor with a fleur de lis pattern down the middle. 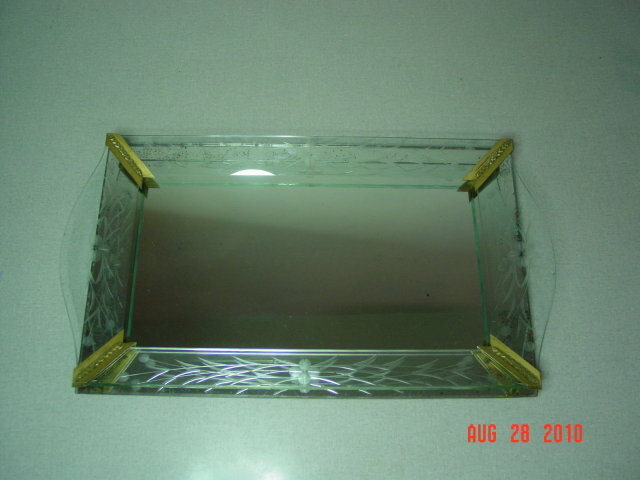 This elegant tray would be a wonderful item to display perfume bottles on your dresser or vanity. The pictures just do not do it justice. 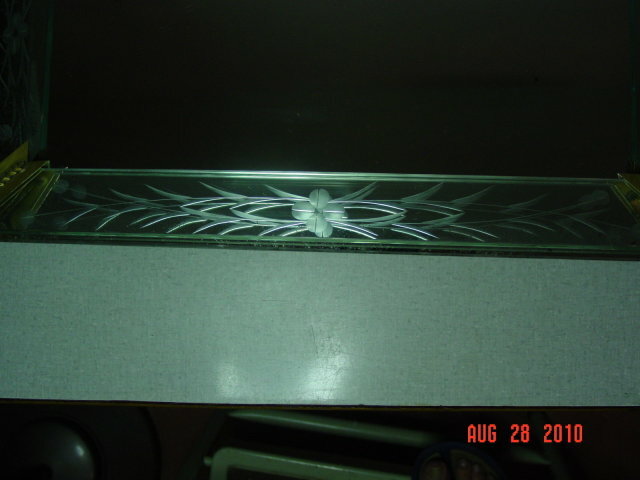 Items Similar To "Vintage Art Deco Etched Glass Dresser Tray"